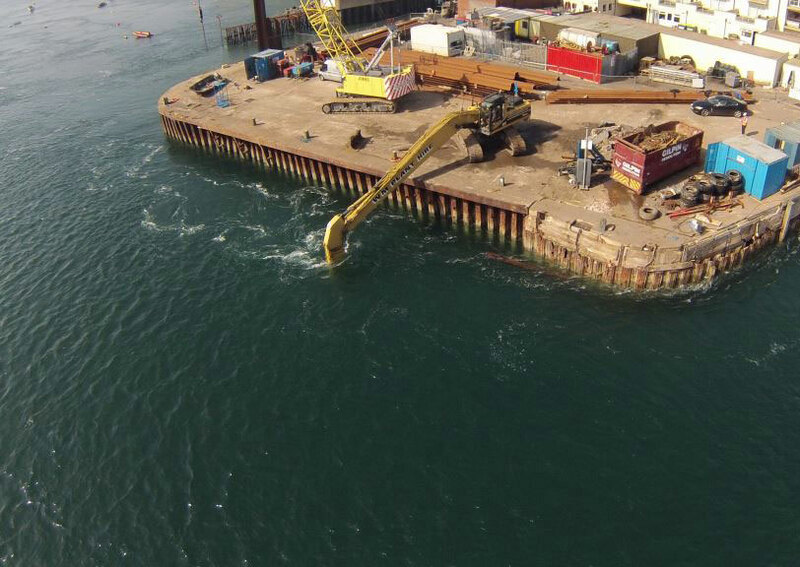 TMS has considerable experience with all kinds of piling for marine civil and land civil engineering projects. 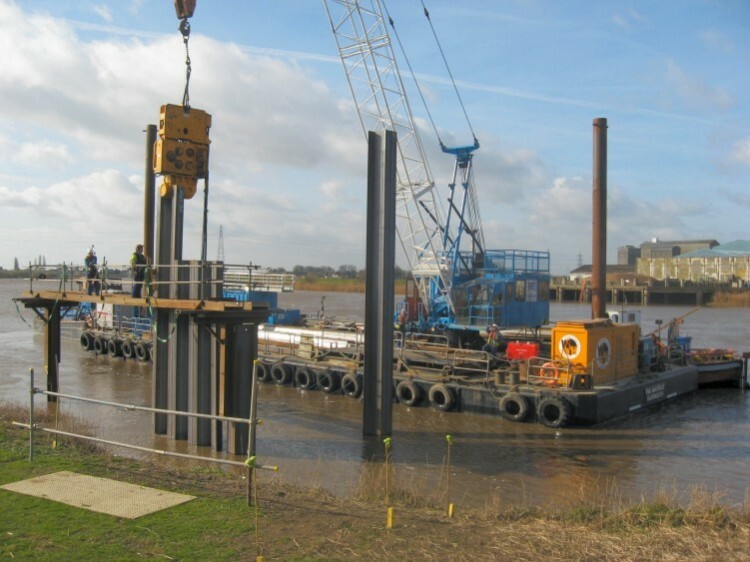 Utilising our floating plant and equipment, we regularly drive tube, sheet, H-sectionand greenheart piles for a variety of applications. The latest investments by TMS Plant Ltd are two Doosan DX340 track excavators, fitted with the latest Movax SPH-75 Side-Grip Vibratory Pile Drivers. 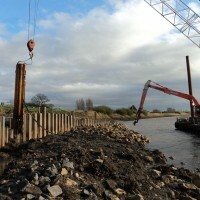 The new machines feature the latest ‘low emission’ engine, ideally suited for work on inner city sites and all hydraulics use bio oil, for ecological safety in marine environments. 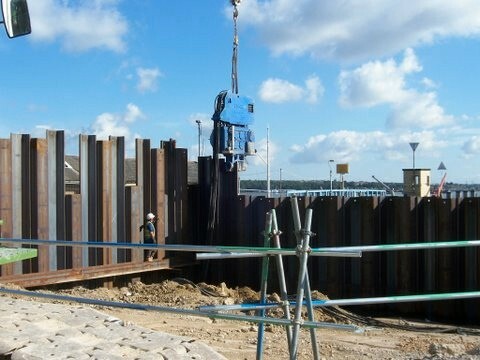 View a video of a TMS Movax installing sheet piles in less than 3 minutes total cycle time. Click on the images below. 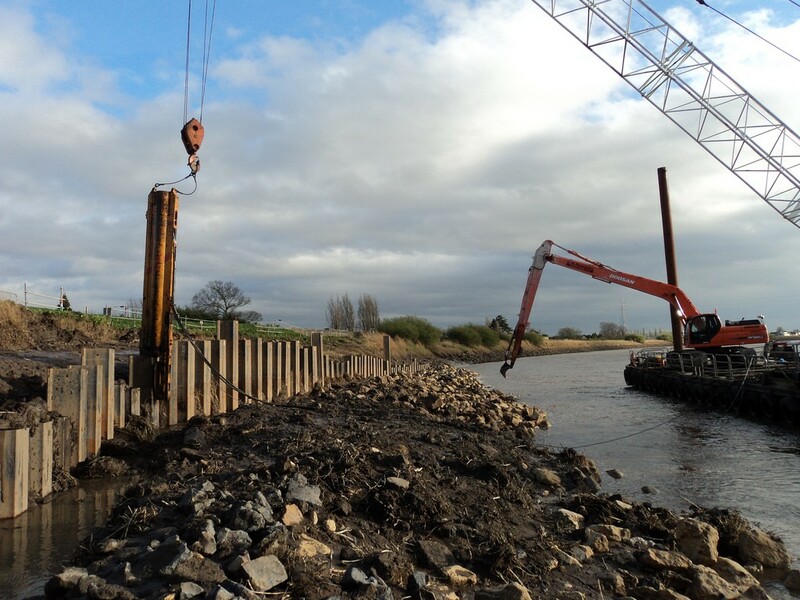 The Movax Side-Grip Vibratory Pile Driver is a highly productive, excavator mounted, pile driver and extractor. This single unit can handle, pitch and drive sheet, tube, H beam, or green heart piles. 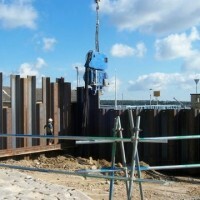 It can accomplish the whole pile driving process, without any need for manual handling or additional machinery. This makes the Dooson/Movax combinations very cost effective solutions for pile driving on most sites; from open areas, to confined spaces, or limited headroom. The advanced Auto C control system makes the operation accurate and easier to create high productivity and safety at low operating cost.